Home > What does the drop in interest rates mean for homeowners? Last month, the Bank of England (BoE) lowered interest rates from 0.5% to 0.25%, a record low and the first cut since 2009. 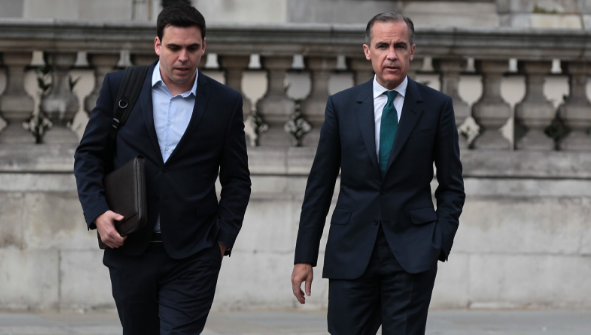 Mark Carney, Governor of the Bank of England, explained that the decision is a pre-emptive measure for the sluggish economic growth forecasted over the next few years. This forecast is largely due to the inevitable “regime change” that’s expected following the UK’s exit from the EU earlier this year. Until policymakers successfully define a new relationship with EU countries – particularly on the movement of goods, services, people and capital – the future of the economy is open to debate. Simply put, a cut in interest rates aims to get people spending. The overall cost of borrowing for both commercial banks and the general public is less, which encourages both people and businesses to save less and invest more. For homeowners it could mean lower mortgage repayments – some predict as much as £22 a month cut in their average monthly bill – depending on their type of mortgage. This affords homeowners more disposable income which should give them more confidence to spend. For savers, a cut in interest rates is generally considered bad news because they will see a worsened rate of return on their savings. The demographics that tend to be more keen to save, such as pensioners, are those most likely to be affected by the cut. Given the BoE’s recent forecast for diminishing growth, many people are asking whether the short-term impact of Brexit will lead to another UK recession – defined as two consecutive negative quarters of economic growth. Carney and other leading economic advisors say this is unlikely, and remain optimistic that the post-Brexit shock we’ve seen in the previous quarter will soon give way to a return in confidence. The decision to cut interest rates to 0.25% is effectively a way to spur this process along a little faster. There’s even scope for the Bank Rate to drop even further, to 0%, by the turn of next year.